"We're number one!" is the cry today. 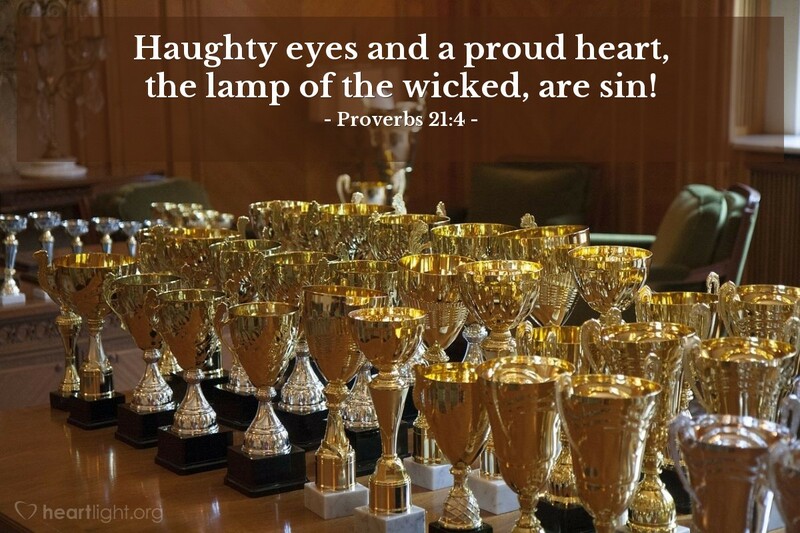 However, the scripture above tells us that it is the wicked who light their own way with their haughty eyes and a proud heart. In contrast, God lights the way for his people with his word (Scripture) and with his Word (Jesus), the wicked light their own way with their haughty eyes and a proud heart. But arrogance, pride, "uppity-ness"  or whatever name you want to call it  is called sin by God. God is number one and all the other numbers are important only because of him. It's just that simple. Holy and righteous Father, help me place you and your character in the place of most importance in my heart, my life decisions, and in my influence. In Jesus' name, I pray. Amen.